I love a good story. I find myself telling stories often (probably a little more often than is necessary). I love the connection I get to the characters their struggles. I love sharing in their successes and learning from their failures. I love a good story! There is no secret that I am a huge comic book fan, and the recent uptick in comic book movies has helped earn me some real “street cred” with my kids. Now outside of the original Superman I haven’t really let them watch the new class of comic book movies because they contained a little more violence than I have been ready to expose them to, or there are thematic elements that I have been concerned my children are not ready to process. That being said their access to my old comic books, comic conventions that we have attended, and all the movie themed toys and entertainment they get exposed has had me answering a lot of questions about the various superhero universes. Their interest in the stories has gotten to a point where I have started looking at how to introduce these movies to my children. So we are having some “Daddy Movie” nights to introduce these movies. How are characters and elements with in the story related? What is the hero trying to overcome/learn? What obstacles does the hero make for his/herself? What obstacles does the villain create? Why is the villain opposed to the hero? How are the hero and villain similar? How are the hero and villain the same? What would you do next if you were the hero? … and why? 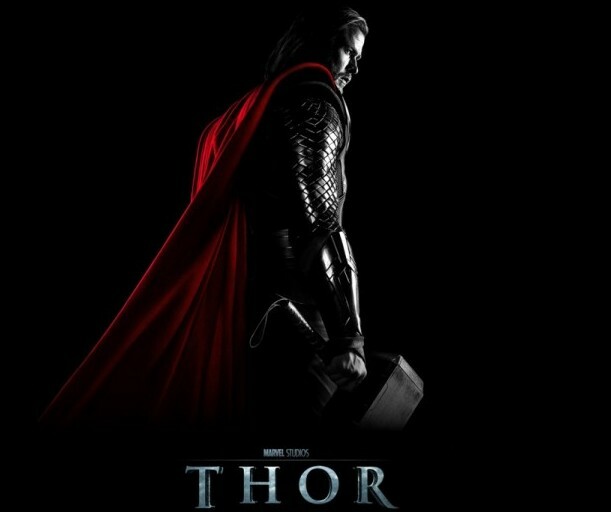 I chose Thor because the story is very well done and one that I think kids can process easily. I also liked that there is a consistent theme throughout the movie so you can figure out where you are in the story by the actions that the characters are taking. I have also spent a reasonable amount of time teaching my kids about mythological characters including Norse myths so I could relate this back to things we have learned before. Also most of the violence is thematic and therefore less likely to cause one or more of my children to join my wife and in our bed during the night. If you haven’t watched the movie you really should. I know that this movie has not been received with tons of accolades, but it tells a tale of a young man who needs to learn humility and sacrifice before he can be a worthy ruler. It teaches there are no shortcuts and that when you take them there are consequences. It teaches that being responsible doesn’t always mean you get to make the decisions that are best for you but rather the best for everyone in your sphere of influence. All of these great life lessons which is why the old tales from antiquity about heroes like Odysseus Achilles, Beowulf, and Thor have survived the ages. As we watched this movie I asked my boys every so often if they understood what had happened. If they didn’t we paused and discussed and in a few cases we re-watched a scene to make help make it clear. Sometimes I paused it to give them a chance to predict what would happen next. We also paused it when they had questions. We watched the show over two evenings and when we finished my kids had come up with sacrifice as the main theme, and we had some very good conversations about that theme over the next few days. My “Daddy Movie” nights are fast becoming a favorite in our house and I am thrilled that I can use them to develop some critical thinking skills along the way.